A teenage romance with a mix of comedy and drama, Adventureland seeks the wistfulness of a troubled young romance. The film enjoys a few good moments but is unable to escape the limitations of quite boring central characters. In Pittsburgh of 1987, acknowledged virgin James Brennan (Jesse Eisenberg) is dumped by his latest short-term girlfriend. He nevertheless graduates from high school with grand plans to spend the summer in Europe and then attend journalism school at Columbia University. But when his dad's demotion stresses the family finances, James finds himself short of money and has to accept a summer job at the Adventureland local amusement park, considered pretty much the most degrading job a local teenager can find. The park is run by Bobby (Bill Hader) and his sister Paulette (Kristen Wiig), and James makes friends with lanky and cynical co-worker Joel (Martin Starr). James soon sets eyes on another colleague, the enigmatic Emily (Kristen Stewart), better known as Em, and they start a tentative courtship. But unknown to anyone, Em is carrying on an affair with the park's hunky maintenance technician Mike Connell (Ryan Reynolds), a married man who claims to be an almost-famous musician who once shared the stage with Lou Reed. Things do start to get serious between James and Em, although the arrival of sexpot teenager Lisa P (Margarita Levieva) to work at the park complicates matters. Directed and written by Greg Mottola fresh from his success helming Superbad, Adventureland aims for a touch of romantic nostalgia within the confines of a quite miserable amusement park, where the games are rigged, kids' puke is part of the ambience, and immature classless men stroke their masculinity by chasing large fuzzy toys. In terms of finding a setting for a love story, Adventureland is original and Mottola sprinkles in regular doses of amusement park human yuk to keep his tale grounded. Less successful are the central characters. Neither James nor Em offer much that is new, and they are teenagers that have been seen many times before, and in better films than this. It does not help that Mottola overplays the teenage angst angle in a fruitless search for some depth. James and Em both come from seemingly well-to-do middle class families, yet in pursuit of the requisite "troubled background" James' inability to afford a trip to Europe and Em's failure to get along with her step-mother are presented as crises of existential proportions. All the parents in the film are presented as disconnected and distant, in another area where the script falls short. Mottola appears more interested in jamming as many 1980s songs into the film as possible, and the soundtrack is relentless, quickly tiresome (many of the music selections simply are not that good), and quite loud, often drowning out the lines of dialogue. Jesse Eisenberg puts on his best I'm-a-bit-of-a-doofus-but-I'm-still-cool persona, and it's well suited to the movie. Kristen Stewart is all about a dark exterior hiding something that is always smoldering, whether its passion or anger at the world in general. 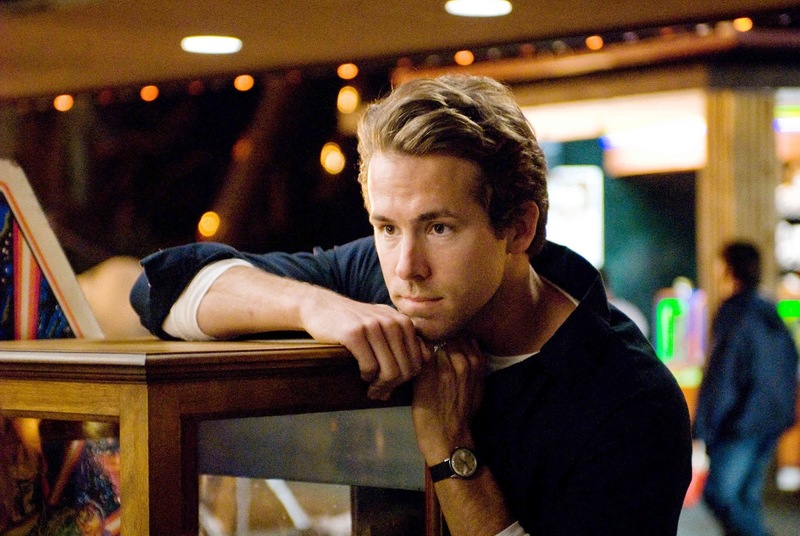 Ryan Reynolds sleeps walks through his few scenes. The supporting cast is patchy, and includes good performances from Bill Hader and Kristen Wiig, a ridiculously over-the-top sultry turn from Margarita Levieva, and a few too many forgettable hangers-on. Adventureland features long stretches where not much happens other than standard teenage anxiety, plenty of alcohol consumption, and even more pot smoking. When in doubt and in search of a cause, break out the illicit substances. Kristen Stewart and Jessi Eisenberg are a great combination of awkward and inexperienced. If ever I'm in the mood for a truly relaxing and calm movie, this is my go to choice, I have seen it over 10 times and love it each time.